Scholarship for aviation program at Canadian university builds connections between The Bahamas and Moncton, N.B. Vantage Airport Group, which manages operations at both Greater Moncton Roméo LeBlanc International Airport and Lynden Pindling International Airport, today introduced the Rob Robichaud Vantage Airport Group Scholarship in Aviation. 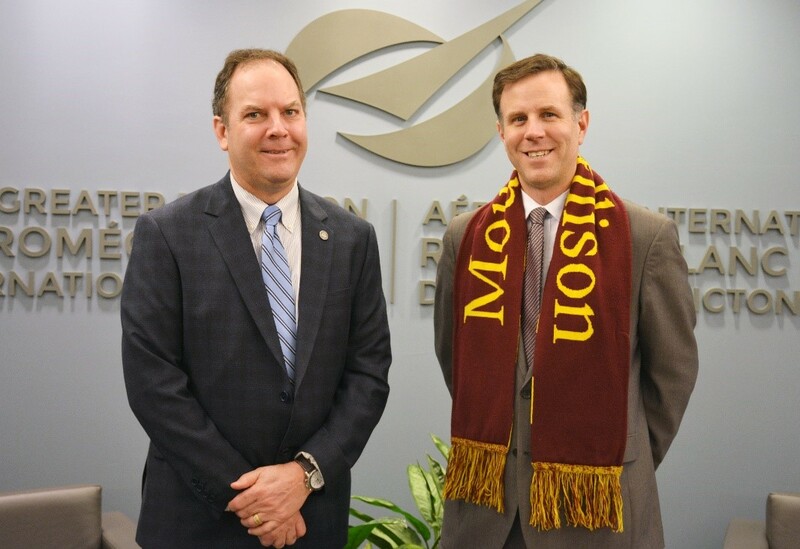 Mount Allison’s Aviation Program is offered in partnership with Moncton Flight College. The Bachelor of Science degree program is one of only a few in Canada that allows students to earn an undergraduate degree that incorporates flight and ground school training. Students focus on subjects relevant to aviation such as geography, mathematics, and physics at Mount Allison; complete ground school training at the Moncton Flight College; and complete more than 200 hours of flight training. This scholarship is modeled after the education award established by Vantage in Kamloops, B.C. with Thompson Rivers University (TRU) in 2016, which has since been presented to two Bahamian students. The new Rob Robichuad Vantage Airport Group Scholarship in Aviation is named in honour of the late Edgar (Rob) Robichaud, past CEO of the Greater Moncton Roméo LeBlanc International Airport, retired RCAF lieutenant-colonel, well-known community leader and past board member for several Moncton-area organizations. The scholarship is available for the first time in 2018-2019 to a full-time Bahamian student in or entering the Bachelor of Science (Aviation) degree program. The scholarship will be awarded to one student per year at a value of $9,000, unless there are two equally ideal and qualified students, in which case two scholarships will be awarded at a value of $4,500 each.